Learn where to find free music for your YouTube videos. Adding music to your videos can help make them more engaging. Find the right music (and sounds effects) for the moment with these tips. Music can add emotion, rhythm, and energy to your video—keeping viewers immersed in your content. Next time you watch a TV show or movie, pay attention to the music. Think about how key scenes would feel different with or without the music. Comedy music is usually fun and cheerful to evoke laughter. Dramatic music is usually heavier and intensifies the conflict and emotion. Action tracks typically have an insistent beat to energize a sequence. You also can add sound effects (like applause, thunder, or a bell ringing) to enhance a moment. Think about how the music and sound guide the story’s pace and influence the audience’s emotions. One avenue to start is the YouTube Audio Library, which contains free music and sounds effects. Simply browse and download tracks. Good news: videos with music from the YouTube Audio Library are eligible to earn money. For more musical selections, try checking the YouTube Music Policy Directory to see information from copyright owners. Keep in mind that copyright owners may restrict the countries in which their music is available on YouTube. You also can search for music in online catalogs such as Audiosocket and Epidemic (and then pay for a license). Yet another option is to connect directly with local musicians. There are many talented singers and bands who don’t have a recording contract; you can ask them to use their original music in your video. Swap audio tracks on your videos if you need to change the music. Read about Creative Commons licensed music. For specific legal advice, consult with an attorney. 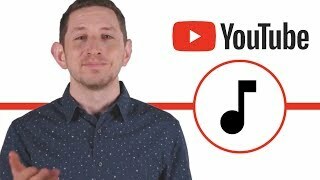 This YouTube Help video introduces some tools for including music in your videos and dealing with Content ID claims. 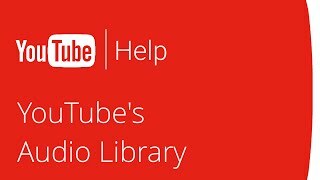 Learn how to get free music and sound effects for your videos from the YouTube Audio Library. Now that you’ve found some great music, consider how to use it effectively. Experiment with various styles of music when editing your video. Try inserting a track or two in pivotal scenes, then watch your entire video to experience the impact. For example, suspense can be magnified with the use of music. String instruments and synthesizers are often used to amplify the tension. By adjusting the tempo—and volume—of the music, you can get viewers to anticipate what will happen next. Need more input? Try asking your friends or family. They can tell you whether the music stirs the emotions you intended. At the end of the day, it’s your video, so you have creative control. Add the music that you believe fits the mood of your story best. Sound effects typically cost very little to use, and they can help you complement the scenes in your videos. Whether it’s the “bloop” of a rock dropped into a pond, the lively chatter of a crowd, or the simple “whoosh” of an incoming title graphic, sound effects add another dimension to your video. There are multiple ways to acquire sound effects. The YouTube Audio Library is one source. Some third-party online libraries offer sound clips on a pay-per-sound basis, or you can subscribe to purchase a set number of sounds per month/year. Think about how many sound effects you plan to use, then decide on the best option. At first, try adding a few sound effects to your video to see if they produce the feeling you want. It can help to listen to your project several times with “fresh ears”—putting yourself in the place of viewers who’ve never watched your content before. Or ask a friend for feedback. Even though music and sound effects are added to your videos later in the process, it’s generally good to brainstorm ideas when you do your initial outline or script. For example, you can jot down what type of music you might add to the background of a scene or what sound effects would amplify a moment and captivate your audience. Do your videos have a more powerful impact with music? Consider asking your audience to comment on your music selections. Does music help to keep your audience engaged? Try adding music to one of your published videos and then re-upload it. Check your YouTube Analytics Audience retention report to see if your audience watches the new version of the video longer.